wow! this is just too good! TOTD! Dude, your stuff is always so great. hahah this is awesome.. great job with the coloring dude. Killer Napkins said: hahah this is awesome.. great job with the coloring dude. 44Kaliber said: Anyone who doesn't like this is just jealous! It's great and something new! A rarity indeed! Loved! Is there something I'm not getting? 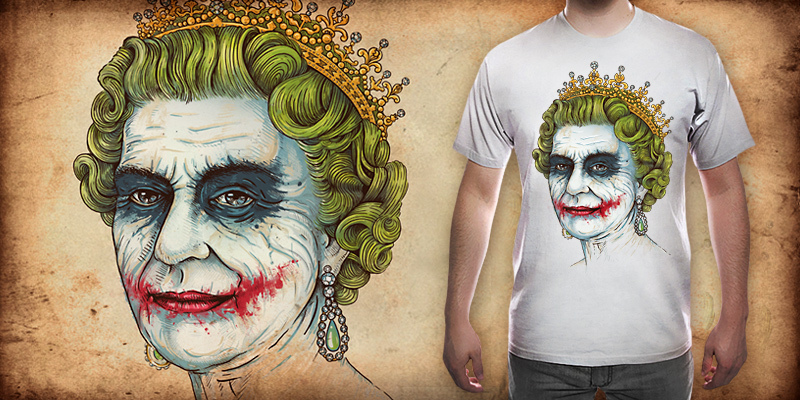 Or is it just the queen as the joker? Adhesive Hippo said: Is there something I'm not getting? 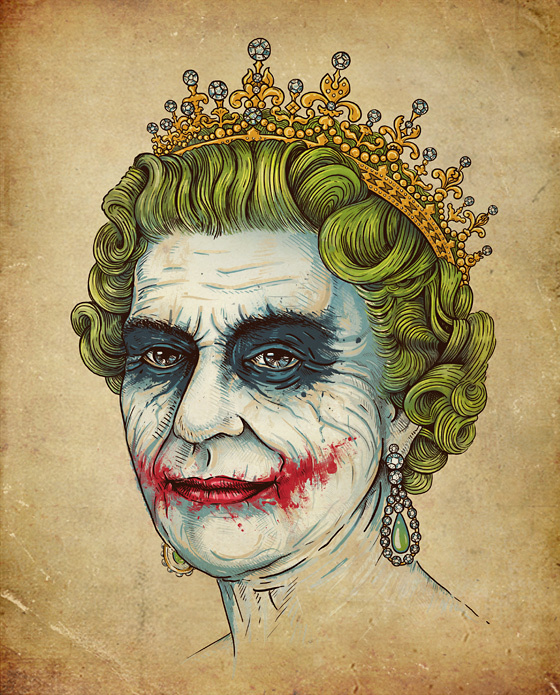 Or is it just the queen as the joker? please get this printed, omighty rhreadless!!!!! I'm British and I couldn't care less what you do to the Queen's face haha. This is great. Some of us have more pride. Shame. Max K said: man,this is so so nice. and i dont think pride comes into this. i dont know or care about the monarch.